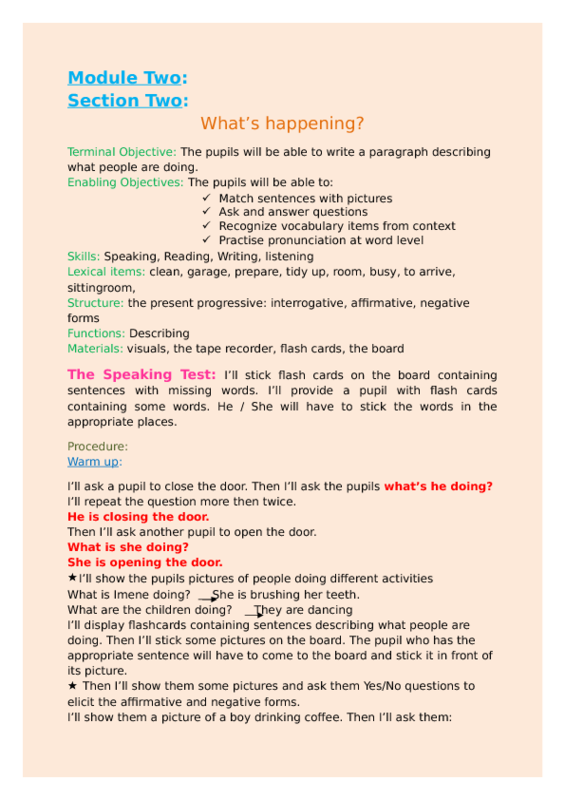 This is a useful lesson plan about the present continuous tense. It also has worksheets and games, and a nice warm up. 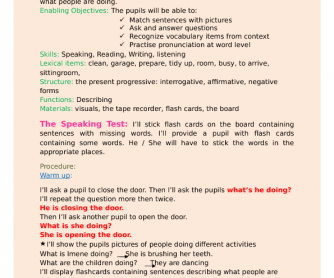 Make sure students are using the correct form of present continuous, be at hand to correct mistakes or provide help with some vocabulary students may need to make their sentences.